We deliver 600/330/100 mm or 600/490/100 mm. The Surface is mechanically grooved, depth 4 mm, width 2 mm, every 39 mm, but no hardened skin. 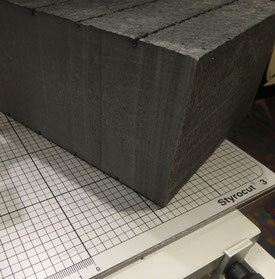 Therefore, the fully usable block thickness is about 92 mm.